You’re finally ready to get started on installing hardwood flooring you’ve been putting off for a while. The floor looks dingy and dull and you’re determined to make it shine like it did when it was brand new. It can be tempting to wait until the weekend and just jump into things, but you’re going to be better off if you prepare a little bit before. Here’s a list of things to do before you get started on your latest DIY hardwood floor refinishing project. You may also wish to read the complete Guide to Restoring Hardwood Floors, or talking to a professional about the cost to have it done. 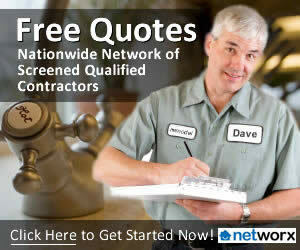 Get free quotes now. It sounds simple, but you’d be surprised at how far a little bit of pre-work cleaning and organization can go. You can add hours of time to your project if you neglect this preparation. Obviously you’re going to need to remove all the furniture from the room that’s being refinished, and you need a plan for where to put it while the floor is drying. Depending on the size of the room you might be able to fit the furniture in other places in your home, but if not you should consider getting a short-term self-storage facility to keep your furniture safe. Once everything is out it’s a good idea to clean everything thoroughly. Unless you plan on spending a decade sanding you’re going to need some heavy-duty machinery to refinish the hardwood right. Shop around for the best deal on a sander that fits your needs. I recommend getting one that has a built-in dust removal system to keep the mess to a minimum. If you’re a thrifty person, you may be able to find a deal by looking in local storage units for auctions and closeouts. You’re also going to need stain and tools to apply it after you’ve sanded down the wood, so make sure you pick out the right color well in advance. I also like to get a little bit more than I need in case of unforeseen circumstances (spills happen!). When I first started doing projects at home I always seemed to spend weeks on them instead of the day I had planned. It wasn’t because it actually took that long to get things done. In reality, I wasn’t very good at planning out enough time initially to get things done. Inevitably I would get started and have to leave for another commitment before it was done, so I had to wait until the next block of free time to get back to work. If you can you should budget in a few extra hours to complete the project. The night before you’re ready to start is a great time to finish all of your final preparations. You’re going to want to isolate the dust from the rest of the house as much as possible, so take great care to put up plastic sheeting to wall off the room you’ll be working in. You should also cover any vents in the room and remove artwork or photos from the wall. Put your tools in the room and you’ll be ready to go first thing in the morning. 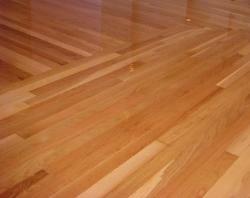 If you follow these simple steps your floor renovation will go off without a hitch.